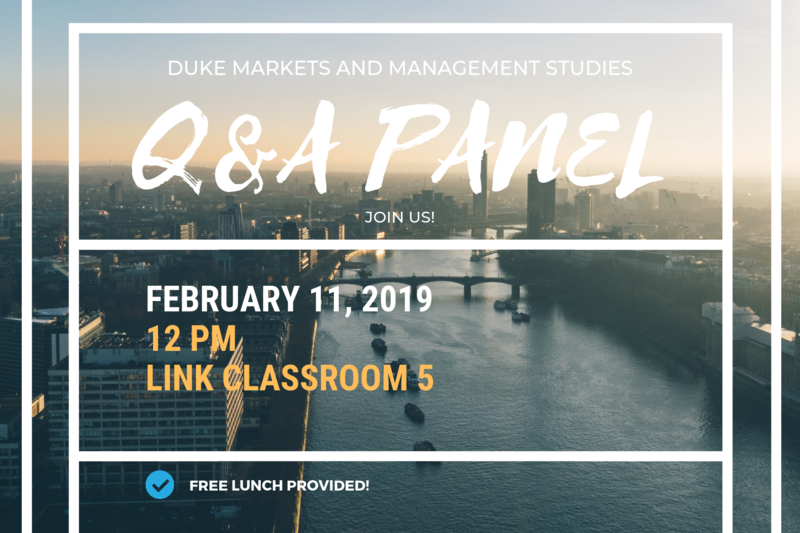 The Markets and Management Certificate will be hosting a Q&A with MMS faculty for those interested in learning more about the certificate. Students already in the program and interested students are welcome to attend. This is a great opportunity to learn about the program requirements, featured courses, meet other MMS students, and talk to some of our faculty!